Dominique and Catherine invite you to sample their farm-produced Rollot cheese, all year round. In season you can also pick your own strawberries. Rollot is a Picardy cheese with an orangey rind. 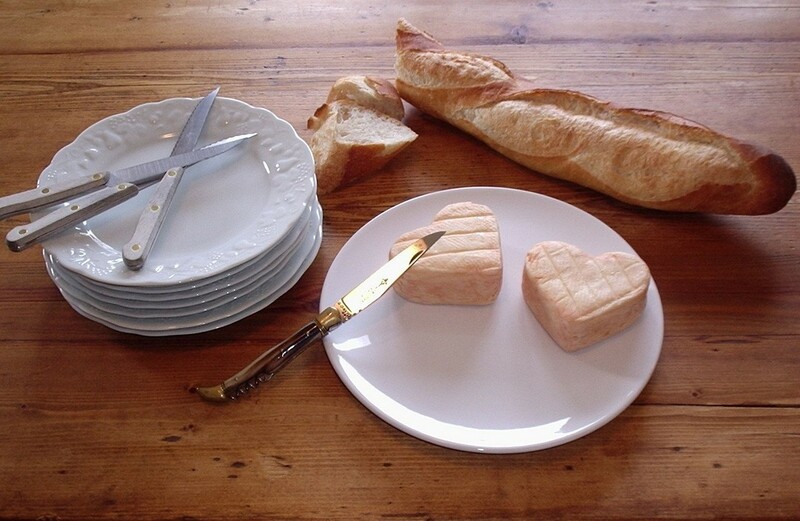 Here it is heart-shaped and made from the milk of their own Normandy cows. In spring, a strawberry field next to the livestock building is open for visitors to pick their own fruit. Farm produce: herd of Normandy cows, Rollot cheese, pick your own strawberries.